What Is the Atlas and Where Is It? atlas: noun. Anatomy. The first cervical vertebra, which supports the head. The human head contains the brain which weighs about 3 pounds. Then there is the skull, the eyes, the teeth, the facial muscles and skin. In all, an adult head weighs around 10 to 11 pounds. Wikipedia reports the head weighs between 5 and 11 pounds. Another source puts the head weight between 9 and 17 pounds! Our head, whether light or heavy, sits atop the atlas, the first vertebra of our spine. It is named for the Atlas of Greek mythology, because it supports the globe of the head. The atlas itself weighs about two ounces. To imagine the scale, think of a bowling ball sitting on a quarter cup of water. All of our nerves exiting the base of the skull pass through the atlas. What Happens When Atlas is Out of Alignment? When the atlas is “out of alignment” or “subluxated” it is not sitting in a neutral position. It may be rotated slightly, or tilted slightly which leads to compensation throughout the body. The neck muscles need to adjust, other vertebrae will adjust, whatever is necessary for the body to create the most comfortable and efficient position for the head. Unlike other vertebrae, the atlas does not have a spinous process (the spinal bumps). Instead, it is ring-like and consists of an anterior and posterior arch, as well as two lateral masses. The protrusions of bone on either side of the ring serve as the attachment sites of muscles that assist in rotating the head. The foramina (the holes) give passage to the vertebral arteries and vertebral veins. When the neck bones are out of alignment, affected by arthritis, or injured, many experience pain ranging from discomfort to intense and debilitating pain. Authors at SpineUniverse refer to chiropractic care as a non-surgical treatment that helps those who have neck pain before they resort to surgical measures. The NUCCA practice focusses on the upper cervical bones, including the atlas. 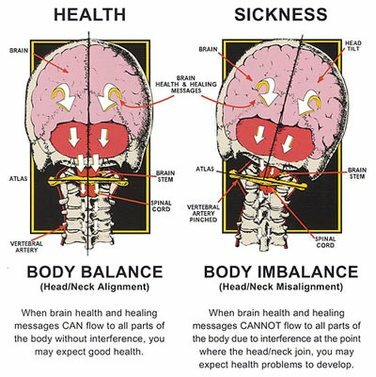 Adjustments are gentle and over time, as the body adjusts to correct alignment, pain subsides or is eliminated entirely. Call our office at (619) 313-5403 to schedule an appointment today.